Cumberland, BC is an amazing mountain bike holiday destination. The town (officially a village) was originally inhabited by coal miners, but recently it has attracted a population of fun, young and creative people who are breathing amazing energy into this little mountain biking hotbed. Cumberland hosts many events every year including stages of the BC Bike race, the Island Cup Enduro, various cross-country and downhill races and other fun club events. The bike shop, Dodge City Cycles, is located right on the main street as are the majority of the restaurants, coffee shops and post ride hang outs. If you are a fan of arriving at your destination and then not touching your vehicle again for a few days, then this is the spot for you. The trails in Cumberland are slightly more on the cross country side of the spectrum, but if gnarly is your thing you can certainly find harder riding here too. You can also venture over to Forbidden Plateau just a few kilometers away for some fantastic shuttle accessible riding. Or if lift accessed riding is your thing, check out the recently reopened Mt. Washington Bike Park, only a 25 minute drive from the Village. On any Vancouver Island mountain biking road trip holiday, Cumberland is a must do stop. While in the area, we also recommend you check out nearby Hornby Island, (just two very short and scenic ferry boat rides) and Duncan, BC towards the south end of Vancouver Island. Interestingly, Vancouver Island has created many of Canada’s most decorated mountain bike riders including Olympians, World Cup racers, World Champions and top freeriders. A trip to the Island will definitely satisfy anyone’s mountain biking desires, all in a destination full of scenic beauty and the pace and tempo of Island life. It is worth noting that the local mountain bike club ‘United Riders of Cumberland’ or UROC has been instrumental in gaining public access to the trails given they are almost entirely on Private Land where industrial forestry work is ongoing. For this reason alone it is really important to make a donation to this club or the trails when you are riding in Cumberland as we would not be able to ride here without the awesome work that UROC does. You can read more about UROC here or make a trail donation here. Cumberland’s trails are mostly in working forests. Stop by the trail network kiosk at the start of your ride for more information and for the latest trail updates. We recommend that you download the Trailforks app (free in the app store for iOS and Android) to access this map on your smartphone and utilize your phones GPS to position you on the map while you are out mountain biking on the trails in Cumberland. This app can be used offline as long as you pre-load the maps ahead of time, making it an ideal option when traveling. We also recommend that you use the Trailforks App so that you can navigate with your phones GPS for the ‘Must do Rides’ below. We also recommend picking up a paper map at the local bike shop as a back-up and as a way to support the local trails. Click on the rides below for more details and to sync the route to your Trailfoks app. Dodge City Cycles is the bike shop in Cumberland, BC. The folks at the shop are all incredible riders and really know their stuff. The shop is perfectly located on the main street of Cumberland directly under the Riding Fool Hostel. Google Maps Location: 2705 Dunsmuir Avenue. Dodge City Cycles is the bike shop in Cumberland, BC. Contact them for your bike rental needs. The shop is perfectly located on the main street of Cumberland directly under the Riding Fool Hostel. 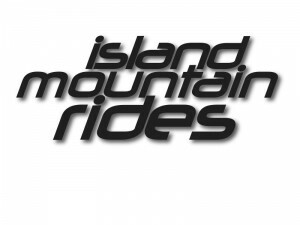 Island Mountain Rides is a fantastic full service mountain bike guiding outfit that specializes in guiding rides in Cumberland, Forbidden Plateau, Campbell River, Hornby island and other areas on Vancouver Island. Owner Martin Ready is an incredibly skilled rider and super fun person who knows all of the best rides and can make your trip to Cumberland hassle free and as fun as possible. Mountain Biking in the Cumberland forest with Garret Buehler. Tarbell’s Deli and Espresso is located right next to the Dodge City Cycles in Cumberland. Rustic feel with made-to-order deli sandwiches featuring in-house roasted meat, house made soups, fresh baking and delicious coffee and even beer and cider. There is also a really great patio for relaxing pre or post ride and you can keep an eye on your bike while you sit. Located on the main street in a really cool old heritage building. At the Wandering Moose delicious coffee, snacks and meals are the order of the day. There is also a great outdoor sitting area to chill before or after your ride and you’ll be able to watch your bike. The Atlas – Technically the Atlas is not located in Cumberland… It’s actually in Courtenay about a 10-15 min drive away, but it’s well worth a visit. The food at the Atlas is always amazing and we recommend it for breakfast, lunch or dinner. Courtenay is also an awesome little town and it is worth walking around as there are loads of little shops and cool places to spend your off-bike time. Some of the most amazing Tacos you will ever have… yes we said that. A perfect post or pre ride fuel up. Bilbio Taco is a must visit spot when in Cumberland! The owners are also incredible riders and might have some great riding beta for you. Delicious baked goods. A local’s favorite, stuff your face and your pockets with goodness and then go ride! This is the spot to visit when you are in Cumberland on your mountain bike holiday. Known for awesome food, an excellent selection of beers and incredible live bands. Perfectly located on the main street of Cumberland right across the street from the bike shop and the Riding Fool Hostel. 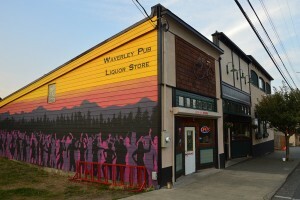 The Waverly is a real gem and is the perfect place to relax and refuel after your ride… just be careful as you could get sucked into a late night here, many have before you… Cumberland locals know how to get down. Cumberland Brewing Co. is an awesome place to start of finish your rides, they even have a bike wash station out back. They have loads of delicious brews on tap, you can also fill your growler and get your beer to go. They have a bike rack so you can watch your bikes while you hang out. The Kingfisher has a great restaurant and is just a short 10 min drive from Cumberland. Looking for last minute deals? 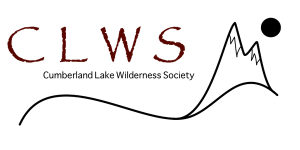 Here is a link to all of our available properties in Cumberland and the greater surrounding area as well. This is always worth a click as you can find great deals here. Just make sure you check to see how close your accommodation is to Cumberland… we highly recommend staying right in the Village of Cumberland as it’s such a cool place to chill on a riding trip. The Riding Fool Hostel is possibly the coolest place you could stay when you visiting Cumberland on a mountain bike holiday. The location is super convenient and they are as bike friendly as it gets (note the name). 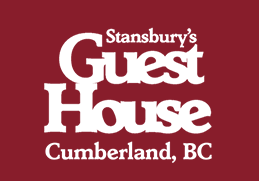 Amenities include: full common kitchen and BBQ, Large common room with woodstove, wireless internet access, linens provided, slate pool table, full knowledge of surrounding area, maps available and trail knowledge of Cumberland, Forbidden Plateau, & Mt. Washington, bike shop downstairs, bike wash station and bike storage area. Nothing overly fancy, but excellent prices and amenities including a variety of suites so you can do your own cooking. 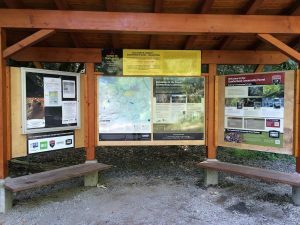 Note, this is actually located in Courtenay (not Cumberland), so you will have a short drive of 10 – 15 minutes to get to the trails. Staying in Courtenay is not necessarily a bad thing as you will be walking distance to loads of great shops and restaurants. If you are after a bit of luxury on your mountain bike holiday then look no further than the Kingfisher Resort and Spa. Located on the waterfront just a few kilometers away from Cumberland and nestled in a coastal forest on the eastern shore of Vancouver Island, the Kingfisher offers breathtaking ocean and mountain views. Pamper yourself in the Pacific Mist Spa, enjoy yoga, or have an awesome meal. The Spa at the Kingfisher has an underground sandstone sculpted cave and eight unique areas for experiencing hydrotherapy, with massage pools, waterfalls and a river walk to soak in. Note: the Kingfisher is located on the oceanfront a few kilometers outside of Cumberland and you will have a short 10ish minute drive to the mountain bike trails. Located just a few minutes out of Cumberland and overlooking the ocean. An awesome place to stay when visiting Cumberland on your mountain bike holiday. Bike friendly vacation rental accommodation in Cumberland, steps away from the historic downtown and legendary mountain biking, their heritage apartment sleeps 2-4 people comfortably. The spacious (800+ ft2) apartment features a separate bedroom with king-sized bed, a double day bed in the living room, a fully equipped kitchen and private back deck, free wi-fi and cable. They are also dog friendly. 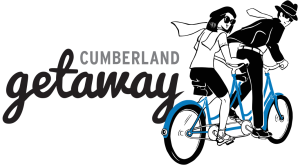 Cumberland Getaway is one of the preferred partners of the local guiding outfit Island Mountain Rides. Lakefront Campin g in Cumberland, BC. Just minutes from the trails. The campground is not located in town, but you are just a short spin away from the amenities on the main street. After your mountain bike ride check out Cumberland Lake Park, on the shores of Comox Lake, for a post-ride swim or paddle-baord. Camping, a concession, rock climbing and paddle board rentals can also be found here. If swimming in the ocean is more your thing, check out the beaches just down the hill in Royston and Comox. If lift accessed riding is your thing, check out the recently reopened Mt. Washington Bike Park, only a 25 minute drive from the Village. Cumberland has a BMX Track located at the Village Park. An awesome place to hone your skills or let your kids loose! Cumberland is located at the foot of Mt. Washington ski resort , just 35 minutes away from Vancouver Island’s only major alpine resort. You could easily do a morning of skiing and an afternoon of mountain biking at the right time of the year. Google Maps Location. Cumberland is very close to loads of lakes, rivers and of course the ocean. If you love fishing you can certainly find plenty of fishing opportunities in the area. You might even consider an ocean fishing charter in nearby Campbell River which is famous for exactly that. There is also a fly fishing store located right in the Cumberland Village to get you sorted out with your fishing adventures! Courtenay and Comox are located just a few minutes drive from Cumberland and there are plenty of spots to go ocean kayaking from both towns. There are golf courses in the area. In the right conditions, you can kite at Goose Spit Park. Google Maps Location. There is really good road riding in the Comox Valley. Bring your road bike if you feel like mixing it up. Coal Creek Historic Park is home to an 18 hole disc golf course. Cumberland is rich in history, with origins as a coal mining town dating back to the 1800’s. The museum tells the story of the people of Cumberland – the rich, the poor, the powerful, the rebellious, the righteous and the radical. They also host historic walking tours throughout the summer. A heritage park on the edge of the Village – and another starting point for your rides – is the former home of Cumberland’s Chinese and Japanese Community’s. While the buildings are long gone, explore the park and check out interpretive signs along the way to learn more. Village Park – is the one-stop-shop for all the typical outdoor municipal rec infrastructure – a great children’s playground (with zipline!) and water spray park, tennis and basketball courts, sports fields and an off leash dog park. And coming soon – a mountain bike dirt jump park and skatepark! The Spa at Kingfisher Resort and Spa is the perfect place to restore tired muscles and get ready for your next ride. The Spa has an underground sandstone sculpted cave and eight unique areas for experiencing hydrotherapy, with massage pools, waterfalls and a river walk to soak in. Note: the Kingfisher is located on the oceanfront a few kilometers outside of Cumberland (about 10’ish mins by car or 25-30 by bike). Feeling the urge to pump some iron? Or escape the rain for a game of squash or some indoor rock climbing? Check out Cumberland’s recreation centre for these activities and more…. 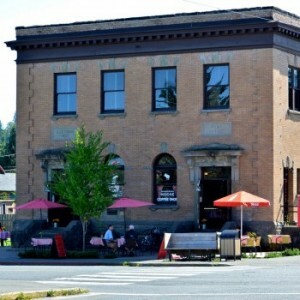 Take a stroll down Dunsmuir Ave and you’ll find a unique collection of locally owned businesses occupying the well persevered heritage buildings.